Your use of VOLY (including but not limited to creating a profile, viewing or accessing posted opportunities, and/or contacting agencies) constitutes your agreement to follow and be legally bound by these Terms, and you represent to us that you have authority to enter into these Terms. If you do not agree to these Terms and/or do not have the authority to enter into these Terms, please exit VOLY immediately. Children under the age of 13 may not use VOLY, and use of VOLY is not intended for use by minors older than 13 without parental consent. If you are not legally an adult in the place in which you reside, you must obtain permission of your parent or guardian before accessing and using VOLY. Provided that you accept and comply with these Terms, VolunteerNow grants you a limited license to access and use VOLY for your personal use. However, this permission does not include the right to download, reproduce, modify or link to any portion of the VOLY Content. For purposes of these Terms, "VOLY Content" means any text, graphics, audio, video, data, interactive features and/or other content published on VOLY by VolunteerNow, by a non-profit agency or by another user. Unless indicated otherwise, VolunteerNow owns and/or has obtained the right to license all VOLY Content to you for the uses permitted by these Terms. VOLY Content is protected by U.S. and foreign law to the fullest extent possible, and any unauthorized use of the VOLY Content is unlawful under copyright, trademark and other laws. Except as expressly permitted under these Terms, you may not store, distribute, display, sell or otherwise exploit the VOLY Content. You may occasionally print one copy of a page from VOLY for personal, non-commercial use, but you may not make multiple copies for distribution to others. Any violation of these Terms – including unauthorized use of the VOLY Content – will immediately terminate the license granted by VolunteerNow to access and use VOLY and may subject you to legal action. In order to use VOLY, you must create a password-protected account and will be required to provide certain personal information in order to identify you and allow you to connect with an agency to volunteer. Such information may include, but is not limited to, your name and email address. You may also be asked to provide certain optional information – such as city, demographic data, languages spoken, interests, and skills – to help us guide you to the right volunteer opportunity. You agree to provide complete and accurate information about yourself when registering for VOLY. You may not impersonate someone else, create an account for anyone other than yourself, provide an email address other than your own, or create multiple accounts. If you create a public VOLY profile, all VOLY users will be able to see your name, any profile photo you choose to upload, any biographical information you provide, your city, and your volunteer activities. You hereby grant to VolunteerNow a non-exclusive license to use any content you post on VOLY for the purpose of operating and maintaining the website. If you decide that you do not wish for your profile to be publicly available, you may manage your profile settings at any time. If you do not create a public VOLY profile, access to your personal information will be limited to VolunteerNow staff to manage your VOLY account, coordinate and track volunteer projects, and communicate with you about VOLY updates. Your Personally-Identifiable Information (as defined below) will not be shared, given, loaned, or sold to any other individual or organization except as authorized by you, such as communicating your interest to the agencies you select and/or reporting your service hours to your employer. You are solely responsible for maintaining the confidentiality of your account information (i.e., user ID, password and/or challenge questions). You are also responsible for all activities that occur in connection with your VOLY account, irrespective of whether you personally engage in such activities. You agree to notify us immediately in the event of any known or suspected unauthorized use of your VOLY account, or any known or suspected breach of security, including loss, theft, or unauthorized disclosure of your password. VolunteerNow is not liable for any unauthorized disclosure of your Personally-Identifiable Information that results from your failure to adequately protect your account information. By disclosing your email address to create a VOLY account, you agree that VolunteerNow may contact you for the purpose of advising you of changes or additions to VOLY, about any of VolunteerNow's products or services, or for such other purpose(s) as VolunteerNow deems appropriate. You further agree that VolunteerNow may provide your contact information to any agencies you authorize for the purpose of pursuing a potential volunteer opportunity. You may opt out of these communications at any time by logging onto your VOLY account and managing your notification settings. VolunteerNow gathers two types of information about you: non-personal information and personally-identifiable information. As described below, each type of information is gathered, used and stored in different ways. Non-Personal Information is gathered automatically each time you access VOLY. For purposes of these Terms, "Non-Personal Information" includes but is not limited to (1) cookies, web beacons, log files, and other data that allows us to observe trends in VOLY use but not identify you personally; and (2) age, gender, profession and/or hobbies, number of hours volunteered, causes selected, demographic data, and other information you disclose that has been disassociated from other details identifying you personally. Personally-Identifiable Information is disclosed by you to us in conjunction with registering for an account and/or signing up for a volunteer opportunity through VOLY. For purposes of these Terms, "Personally-Identifiable Information" includes but is not limited to (1) information that identifies you personally, such as your name, VOLY account user ID and password (if applicable), email address, mailing address, and telephone number; and (2) age, gender, profession and/or hobbies, number of hours volunteered, causes selected, demographic data, volunteer service history, activity on VOLY, IP address and/or web host, and other information you disclose when it is associated with information that identifies you personally. VolunteerNow does not knowingly collect Personally-Identifiable Information of minors. Children under the age of 13 may not use VOLY, and use of VOLY is not intended for use by minors older than 13 without parental consent. Minors should not disclose Personally-Identifiable Information on VOLY without the approval and supervision of a parent or guardian. Non-Personal Information is gathered automatically each time you visit VOLY. VolunteerNow uses the aggregated data from the Non-Personal Information gathered to improve VOLY performance and enhance the user experience by responding to trends in page views, linking within the site and interactions with selected ads. For example, "cookies" – small pieces of information that VOLY and other sites place on your computer's hard drive – help VOLY remember your preferences, provide information targeted to your interests and location, and otherwise make your VOLY experience more enjoyable. "Web beacons" are images embedded in the code of VOLY that helps us monitor traffic patterns amongst our users. We may disclose the aggregated usage data to our vendors, such as web hosting services and/or graphic designers, to improve VOLY. We may also share the aggregated usage data with third party service providers, such as online advertisers, to allow them generate contextual advertisements on VOLY. Other Non-Personal Information is gathered from your VOLY account by compiling certain information about your interests and demographic profile and disassociating that information from your identity. That de-identified data may then be aggregated to create profiles of different types of VOLY users and volunteers in the community. We may share aggregated profile data regarding VOLY users with other organizations to analyze trends in volunteerism, to improve volunteer opportunities available to the public, or to develop products and/or services that will appeal to VOLY users. VolunteerNow cannot collect your Personally-Identifiable Information without your consent and participation. You may be required to disclose Personally-Identifiable Information in order to register for an account or transact business on VOLY. By submitting your Personally-Identifiable Information, you authorize VolunteerNow to use that Personally-Identifiable Information to provide the interaction or service you have initiated. By submitting your Personally-Identifiable Information to VolunteerNow through VOLY or otherwise, you agree that VolunteerNow may contact you for the purpose of advising you of changes or additions to VOLY, about any of VolunteerNow's products or services, or for such other purpose(s) as VolunteerNow deems appropriate. You may opt out of these communications at any time by following the unsubscribe instructions provided in the communication. You also agree that VolunteerNow may disclose your Personally-Identifiable Information to VolunteerNow's affiliates, agents, and any third party that administers VOLY or any services offered on VOLY on VolunteerNow's behalf. Such third parties may include, but are not limited to, email marketing service providers, marketing survey firms and agencies offering volunteer opportunities. You also agree that VolunteerNow may disclose part or all of your Personally-Identifiable Information when VolunteerNow believes, in good faith, that the law requires or compels such disclosure; or when VolunteerNow has a reason to believe that disclosure is necessary to protect VolunteerNow's rights or property, or the rights or property of another; or to prevent harm. Further, VolunteerNow may disclose personal and/or corporate information provided by you as part of any merger, sale, or other acquisition of some or all of VolunteerNow's organization or its assets. Certain volunteer opportunities may require that you undergo a background check before participating. A background check may require you to disclose Personally-Identifiable Information above and beyond that which is required in registering for a VOLY account, including but not limited to your social security number, criminal history, and military service. For purposes of these Terms, "background check" refers to any investigation of your personal history, including but not limited to criminal history; social security number trace, including a consumer report under the Fair Credit Reporting Act, 15 USC § 1681; driving record; employment history; military background; civil listings; educational backgrounds; and professional licenses. You understand and agree that each agency determines whether a background check will be performed, and VolunteerNow has no control over whether an agency requests a background check. By providing this information to an agency or to VolunteerNow, you consent to the investigation of your personal history by VolunteerNow or an authorized third-party security firm on behalf of the agency. You further consent to the disclosure of the results of the background check by VolunteerNow to the agency requesting it. You understand and agree that VolunteerNow has no control over how an agency uses that information or whether you are selected as a volunteer. YOU ALWAYS HAVE THE OPTION TO DECLINE A VOLUNTEER OPPORTUNITY THAT REQUIRES DISCLOSURE OF SUCH SENSITIVE INFORMATION. You assume any and all risks associated with disclosing the information, and VolunteerNow shall not be liable for any harm you may experience as a result of the disclosure. VolunteerNow follows generally accepted industry standards to protect Personally-Identifiable Information during transmission via VOLY and storage after the fact. By way of example and not limitation, Personally-Identifiable Information is transmitted to VolunteerNow over an encrypted connection and stored in a secure database at VolunteerNow's or its vendors' facility. To the extent that you provide such Personally-Identifiable Information directly to the agency requesting it, VolunteerNow has no responsibility for the security of any transmission between you and the agency or between the agency and VolunteerNow. You should carefully evaluate whether you are willing to accept the risks of unsecured disclosure of your private information and, if you are unwilling to do so, decline the opportunity. Once VolunteerNow receives your personal information for a background check, it is handled with care by our team of investigators certified by the State of Texas. If the information is transmitted to a third-party vendor for the completion of the background check, the outgoing and incoming transmissions between VolunteerNow and the third-party vendor are completed over an encrypted connection. Your VOLY account information is stored by VolunteerNow in a secure database at our vendor's facility so that it is accessible to you each time you access VOLY. Results of background checks are stored by VolunteerNow only as long as necessary to provide results to the requesting agency or as otherwise required by law. THERE IS NO SUCH THING AS "PERFECT" SECURITY ONLINE. Please bear that in mind when deciding what Personally-Identifiable Information to disclose to VolunteerNow. If at any time you are asked for Personally-Identifiable Information you do not wish to be disclosed in any of the ways discussed above, you should terminate the transaction or cancel your account registration immediately. v. other potential risk of injury. Notwithstanding the above, you agree to participate only in volunteer activities of which you are physically capable without risk of injury to yourself. You assume any and all risk in connection with your volunteer efforts or participation, including without limitation risk of any accident or injury to person or property which you may sustain in connection with your participation. To the extent a volunteer opportunity requires you to utilize your own vehicle for transportation or other purposes, you hereby represent and warrant that you and your vehicle are fully insured to the extent required by law. By participating in a volunteer opportunity, you grant to VolunteerNow the right to photograph or record you on video and to use your name, voice and/or likeness for any commercial purpose, including but not limited to posting photos/videos of you on the VolunteerNow website and using your name and likeness in printed marketing materials. You understand and acknowledge that (1) VolunteerNow does not provide accident or liability insurance for any volunteers and (2) under no circumstances will VolunteerNow be liable for any loss, injury, claim, liability or damage of any kind resulting from use of VOLY. You hereby release VolunteerNow and its directors, officers, partners, agents, employees, independent contractors, successors, assigns, licensees, sponsors, donors, representatives, guests and affiliates from, and covenant not to sue for, any and all claims and causes of action, whether known or unknown, arising out of, based upon, or relating to your participation in a volunteer opportunity pursued using VOLY, including without limitation any negligence of VolunteerNow and its directors, officers, partners, agents, employees, successors, assigns, licensees, sponsors, donors, representatives, guests and affiliates. You hereby agree to indemnify and hold VolunteerNow, its directors, officers, partners, agents, employees, independent contractors, successors, assigns, licensees, sponsors, donors, representatives, guests and affiliates harmless against any and all liabilities, claims, actions, damages, losses, judgments, fines, deficiencies, injuries, suits and proceedings at law or in equity, costs, or any other expense, fee or charge of any character or nature through all levels of appeal and any amounts paid in settlement of the foregoing which may be imposed upon, incurred or threatened by or upon VolunteerNow (or any related party as referenced above) including, but not limited to the negligence, gross negligence or strict liability, or any of its property in respect to, or arising out of, your participation as a volunteer through VOLY. VOLY may include links to other websites. Such links do not imply an endorsement of the materials disseminated at those websites, nor does the existence of a link to another site imply that the organization or person publishing at that site endorses any of the materials at VOLY. VolunteerNow is not responsible for the materials contained at any website linked to or from VOLY. If you are transferred to a third-party website from a link within VOLY, the terms and conditions of the third-party website will govern your use of that site. VolunteerNow shall not be liable for any content on the third-party website, nor shall it be liable for your use or misuse of such third-party website or its content. You may not use VOLY to stalk or otherwise harass another VOLY user or employee of VolunteerNow; impersonate any person or entity or falsely state or otherwise misrepresent your affiliation with VolunteerNow or any other person or entity; harm minors in any way, or solicit or otherwise attempt to gain any information from a minor; solicit, collect or post personal data or attempt to solicit, collect or post personal data about other users of VOLY, including user names or passwords; or access or attempt to access another user’s account without his or her consent. You may not reverse engineer, decompile, data mine, record, "scrape," link to, collect information or otherwise manipulate content from any portion of VOLY. You may not submit any content that infringes in any manner on the copyright, trademark or other intellectual property rights of any person or entity, or that contains any confidential or proprietary information of any person or entity, or that otherwise violates the legal rights of any person or entity. By submitting photographs of other individuals, you represent that you have obtained the permission of each individual pictured and, in the case of children under the age of 18, parental permission for each child. Either or both parents may request that VolunteerNow remove a child’s photograph from VOLY at any time. You may not submit VOLY Content that is unlawful, harmful, threatening, abusive, harassing, tortious, defamatory, vulgar, obscene, libelous, invasive of another's privacy, hateful, or racially, ethnically or otherwise objectionable (in VolunteerNow's sole discretion). You may not submit VOLY Content that constitutes unsolicited or unauthorized advertising, promotional materials, "junk mail," "spam," "chain letters," "pyramid schemes," or any other form of commercial solicitation. You may not submit VOLY Content that contains software viruses or any other computer code, files or programs designed to interrupt, destroy or limit the functionality of any computer software or hardware or telecommunications equipment.  VolunteerNow may remove any VOLY Content that, in its sole discretion, is prohibited by these Terms or is otherwise contrary to or inconsistent with the then-current policies of VolunteerNow and/or the purpose of VOLY. VolunteerNow may remove such prohibited VOLY Content at any time without advance notice to you. By agreeing to these Terms and using VOLY, you agree to indemnify and hold harmless VolunteerNow, its parents, subsidiaries, affiliates, any related companies, suppliers, licensors and partners, and the officers, directors, employees, agents, independent contractors and representatives of each of them from and against any claim or demand made by any third party, including all costs, liabilities and legal fees, due to or arising out of (i) your access to or use of VOLY; (ii) your violation of these Terms; (iii) claims for libel, slander or any property damage, personal injury or death; (iv) the use, failure to use, or inability to use VOLY or any products or services available through VOLY, caused directly or indirectly by you; (v) the infringement by you, or any third party using your account, of any intellectual property or other right of any person or entity; and/or (vi) violations of any local, state or federal law. VolunteerNow reserves the right, at your expense, to assume the exclusive defense and control of any matter for which you are required to indemnify VolunteerNow, and you agree to cooperate with VolunteerNow's defense of these claims. You agree not to settle any matter without VolunteerNow's prior written consent. VolunteerNow will use reasonable efforts to notify you of any such claim, action or proceeding upon becoming aware of it, but no failure or delay of VolunteerNow to notify you will waive VolunteerNow's right to indemnification. THE PRODUCTS, OFFERINGS, CONTENT AND MATERIALS ON VOLY ARE PROVIDED "AS-IS" AND WITHOUT WARRANTIES OF ANY KIND, EITHER EXPRESS OR IMPLIED. VOLUNTEERNOW DISCLAIMS ALL WARRANTIES, EXPRESS OR IMPLIED, INCLUDING BUT NOT LIMITED TO IMPLIED WARRANTIES OF MERCHANTABILITY AND FITNESS FOR A PARTICULAR PURPOSE, COMPATIBILITY, SECURITY, ACCURACY OR NON-INFRINGEMENT. NEITHER VOLUNTEERNOW, ANY OF OUR AFFILIATES, NOR ANY OF OUR OR THEIR RESPECTIVE LICENSORS, LICENSEES, SERVICE PROVIDERS OR SUPPLIERS WARRANT THAT VOLY OR ANY FUNCTION CONTAINED IN VOLY WILL BE UNINTERRUPTED OR ERROR-FREE, THAT DEFECTS WILL BE CORRECTED, OR THAT VOLY OR THE SERVERS THAT MAKE VOLY AVAILABLE ARE FREE OF VIRUSES OR OTHER HARMFUL COMPONENTS. ANY PRODUCT, OFFERING, CONTENT AND MATERIAL DOWNLOADED OR OTHERWISE OBTAINED THROUGH THE USE OF VOLY IS DONE AT YOUR SOLE RISK AND YOU WILL BE SOLELY RESPONSIBLE FOR ANY DAMAGE TO YOUR COMPUTER SYSTEM OR LOSS OF DATA THAT RESULTS FROM THE DOWNLOAD OF ANY SUCH PRODUCT, OFFERING, CONTENT OR MATERIAL. NEITHER VOLUNTEERNOW, ANY OF OUR AFFILIATES, NOR ANY OF OUR OR THEIR RESPECTIVE LICENSORS, LICENSEES, SERVICE PROVIDERS OR SUPPLIERS WARRANT OR MAKE ANY REPRESENTATIONS REGARDING THE USE OR THE RESULTS OF THE USE OF THE PRODUCTS, OFFERINGS, CONTENT AND MATERIALS IN VOLY IN TERMS OF THEIR CORRECTNESS, ACCURACY, RELIABILITY, OR OTHERWISE. YOU EXPRESSLY UNDERSTAND AND AGREE THAT VOLUNTEERNOW AND OUR AFFILIATES SHALL NOT BE LIABLE FOR ANY INDIRECT, INCIDENTAL, SPECIAL, CONSEQUENTIAL, EXEMPLARY OR PUNITIVE DAMAGES, INCLUDING BUT NOT LIMITED TO DAMAGES FOR LOSS OF PROFITS, GOODWILL, USE, DATA OR OTHER INTANGIBLE LOSSES (EVEN IF WE HAVE BEEN ADVISED OF THE POSSIBILITY OF SUCH DAMAGES), ARISING OUT OF, OR RESULTING FROM, (A) THE USE OR THE INABILITY TO USE VOLY; (B) THE USE OF ANY CONTENT OR OTHER MATERIAL ON VOLY OR ANY WEBSITE OR WEBSITES LINKED TO VOLY, (C) THE COST OF PROCUREMENT OF SUBSTITUTE GOODS AND SERVICES RESULTING FROM ANY GOODS, DATA, INFORMATION OR SERVICES PURCHASED OR OBTAINED OR MESSAGES RECEIVED OR TRANSACTIONS ENTERED INTO THROUGH OR FROM VOLY; (D) UNAUTHORIZED ACCESS TO OR ALTERATION OF YOUR TRANSMISSIONS OR DATA; (E) STATEMENTS OR CONDUCT OF ANY THIRD PARTY ON VOLY; OR (F) ANY OTHER MATTER RELATING TO VOLY. IN NO EVENT SHALL OUR TOTAL LIABILITY TO YOU FOR ALL DAMAGES, LOSSES, AND CAUSES OF ACTION – WHETHER IN CONTRACT, TORT (INCLUDING, BUT NOT LIMITED TO, NEGLIGENCE), OR OTHERWISE – EXCEED THE GREATER OF ONE HUNDRED DOLLARS ($100) OR THE AMOUNT YOU HAVE PAID US IN THE PAST TWELVE MONTHS. VolunteerNow may terminate or suspend your account or ability to use VOLY, in whole or in part, at VolunteerNow's sole discretion, without notice or liability of any kind. You may cancel your VOLY account at any time by contacting VolunteerNow. Upon your request, VolunteerNow will delete your Personally-Identifiable Information within a reasonable time, provided that VolunteerNow may retain your information in its non-public databases for a reasonable period of time to support VolunteerNow's business requirements or as required by law. In that case, VolunteerNow will protect your Personally-Identifiable Information in a manner consistent with its then-current security procedures until the legal requirement expires or is removed. VolunteerNow will continue to have the right to use Non-Personal Information even after your account is terminated. In the event of any termination, whether by you or VolunteerNow, your obligation to indemnify VolunteerNow as stated in these Terms will continue in full force and effect. These Terms and the relationship between you and VolunteerNow shall be governed by the laws of the State of Texas without regard to its conflict of law provisions. Unless expressly waived by VolunteerNow, you agree to submit to the personal and exclusive jurisdiction of the state and federal courts in Dallas County, Texas. Regardless of any statute or law to the contrary, any claim or cause of action arising out of or related to use of VOLY or these Terms must be filed within one (1) year after such claim of action arose or be forever barred. In the event of any action to enforce or interpret these Terms, the prevailing party shall be entitled to recover all legal expenses incurred in connection with the action, including but not limited to its costs, both taxable and non-taxable, and reasonable attorney's fees. These Terms are the entire agreement between you and VolunteerNow relating to the subject matter herein and supersede any prior agreements between you and VolunteerNow. No agency, partnership, joint venture, or employment is created as a result of these Terms, and you do not have any authority of any kind to bind VolunteerNow in any respect whatsoever. The failure of VolunteerNow to insist upon or enforce the strict performance with respect to any provision of these Terms, or to exercise any right under the Terms, will not be construed as a waiver or relinquishment to any extent of VolunteerNow's right to assert or rely upon any such provision or right in that or any other instance; rather, the same will be and remain in full force and effect. These Terms may be modified by our posting of changes to these Terms on VOLY, or by written agreement of both parties. Each time you access VOLY, you will be deemed to have accepted any such changes.